The Department of Veterans Affairs will furnish, upon request, at no charge to the applicant, a Government headstone to deceased, eligible veterans in any cemetery around the world. Examples of the types of no charge memorials available are shown below. 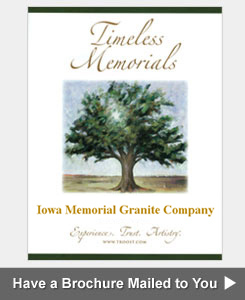 If the veteran already has a marker and the spouse now requires a matching memorial, Iowa Memorial Granite Company is here to assist you. 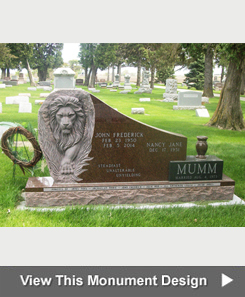 Additionally, we can provide a granite base to go under a bronze government marker and explain additional memorialization options, such as flower vases or verses to further personalize the headstone. Please be aware that if the government marker is to be placed in a private cemetery, all foundation and installation costs are the responsibility of the veteran or his/her family. Should you need assistance with the placement of a VA headstone, please contact us. 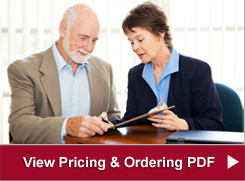 We can help you complete the necessary paperwork, receive the headestone from the goverment on your behalf and have it delivered and installed in the cemetery. For more information on headstones provided by the Dept. 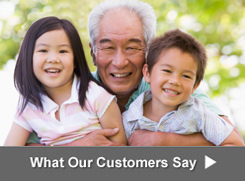 of Veterans Affairs, visit their website at http://www.cem.va.gov/hm_hm.asp.